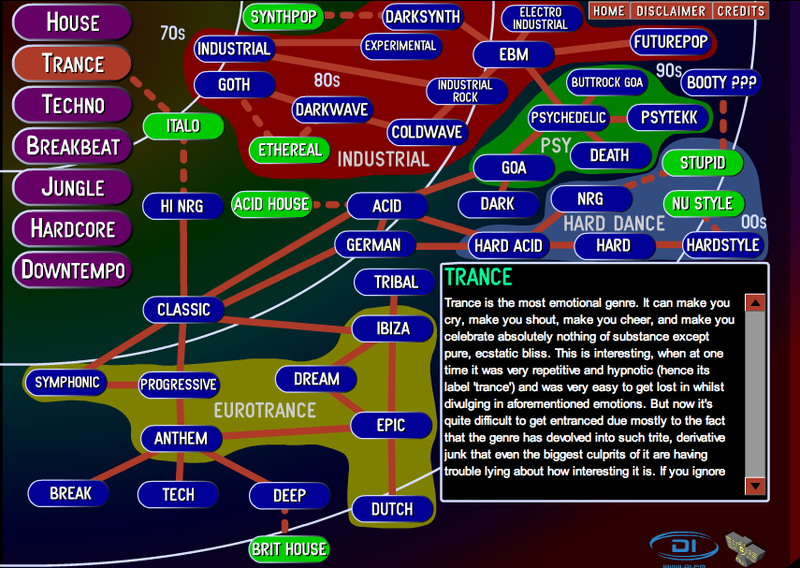 Learn all the forms of electronic music with the navigable map from Ishkur's Guide To Electronic Music. 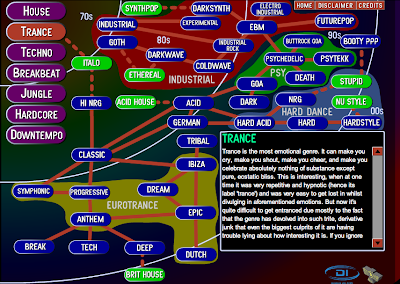 This has to be my favorite music, particularly vocal trance! I feel God in the music.